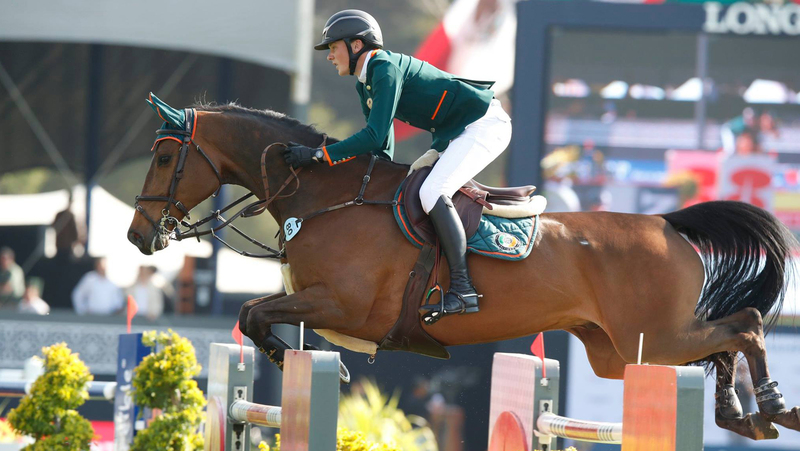 The countdown is on for the much anticipated decider to the GCL of Mexico City! All 16 teams will be back to battle it out to be crowned the winners in this afternoon’s GCL of Mexico City final, and we've had a look at who's playing up front today. Surprisingly current leaders in GCL the Shanghai Swans are one of the two teams to make the most changes. They have switched Shane Sweetnam who produced a clear in Round 1 for Daniel Deusser and his on form gelding Calisto Blue. Teammate Peder Fredricson is also taking the reins of his second horse H&M Christian K instead of Zacramento. Will fresh horses and riders give the teams an advantage? Valkenswaard United are in pole position and have decided to keep their winning combination from Round 1 of the consistent due Alberto Zorzi and Bertram Allen. With seven teams on a score of 0 faults it is still anyone's game. The fastest team on 4 faults is the Scandinavian Vikings who make no changes with the young talent of Evelina Tovek and Christian Ahlmann - who swaps to his famous horse Take A Chance On Me Z.
Twelve months ago it was the Miami Celtics who claimed top spot on the podium. Today they just make one change switching Shane Breen who picked up 4 faults in Round 1 for new member of the team William Whitaker. They keep Michael Duffy riding Quintano as he knowns exactly what it takes to win in this phenomenal arena.